Custom pokemon, also called Fakemon by many people. are allowed here on PokeRev. However due to the nature of custom pokemon, they are the hardest to get approved. Mods will be stricter here than elsewhere, and you need the approval of 2 mods. Why? Because fakemon enter the forum as normal pokemon. We can't allow a way over powered pokemon to just be readily available for use. There are also a few rules. All Custom Pokemon / Fakemon are usable by all members. This means if you create it, it's usable by other members. No claiming them as private. If you don't like it, don't make one. All Custom Pokemon / Fakemon stay with the forum. This means once made and approved, you can't remove it from the forum. In short, you give us the right to use it upon creation and approval. You may request it's removal, but not if it is currently in use by a member, or even being seen in an active topic. You may not start with a very rare custom pokemon just because you created it. No special privileges. You may not re-do evolutions already approved. If you want this great ghost eevee-lution, but there is an approved one already in use, then you may not make another. Do not copy another pokemon, just with small changes. It will be denied. Sorry, but we can't have a ton of these that are made just so you can have a surfing pikachu, or a very big pikachu that can use slam and hyper beam. We reserve the right to remove approved custom pokemon if nessisary. Such as something slipping by the mods that greatly needs fixing. If you make one then leave, and it is discovered somethign needs fixed, you may grant permission to alter it. However another member may make the nessisary changes. A change log will be kept in a post on the approved pokemon. Any custom abilities are going to require even more strict watch. As a result, if you create a pokemon with a new ability, it will be examined thoroughly, and may require permission from an admin. Custom Pokemon require the approval of 2 staff members before being put into effect. Name: The name of this pokemon species. Type(s): The types. Is it ghost/psychic? Just water? Water/rock? Species: This is simple, give a short summation. Like pikachu is called the electric mouse. Abilities: Up to 3 abilities. A mod can request a max of 2, don't argue in such an event. Average Height: Does it reach 10 feet above ground level on average? Average Length: How long is it? Most importantly this is for snakes and pokemon with tails, or things like horse types. Humanoid bodies...not required in most circumstances. Average Weight: A weight for them. This is fairly obvious but be reasonable. Steel and rock types tend to weight more, which is common sense but I figure should be mentioned. Appearance: Firstly, an image is REQUIRED. No if's and's or but's about it. I also need a medium-long paragraph minimum. If it changes forms with the seasons or some such, each must be described in detail here. Personality: How do they tend to behave in the wild? Are they territorial by nature, attacking any that go into their area? Are they friendly and love people? All pokemon are different, but some nice general species information. At least a medium to long paragraph. Natural Enemies: Any natural enemies? Caterpie are eaten by bird types, seviper and zangoose are natural foes, things like that. But if it's obvious, like the caterpie thing, then no great information is needed here. Habitat: Do they live in volcano's? Grasslands? Caves? Or perhaps more specifically the fire swamps of Spira, or the Peac sea in Apexia. Dex Entries: Give us a few useless facts and figures here. Be warned, we take these somewhat seriously, so don't go throwing down things like a levitating 50 ton rock pokemon, just for kicks. Rarity: How rare are they? A psuedo-legendary that resides only in a cave on west mi-ihen? Perhaps in an under-sea cave under one of the dead islands? Or are they common to see in their habitat? Level-Up Moves: Give us a move every 2-5 levels. Try to space it out a bit. I don't want a huge list here with a move lever 2 levels. But a tiny list just nerfs the pokemon. TM/Tutor Moves: A few moves here that can be learned by TMs? (TM and HM's are the same here.) These must be reasonable. No surfing pikachu. Nor a water pulsing flaming snake. Egg Moves: Additional moves that are learned through breeding or some such. These also need to make some degree of sense. [b]Name:[/b] The name of this pokemon species. [b]Type(s):[/b] The types. Is it ghost/psychic? Just water? Water/rock? [b]Species:[/b] This is simple, give a short summation. Like pikachu is called the electric mouse. [b]Abilities:[/b] Up to 3 abilities. A mod can request a max of 2, don't argue in such an event. [b]Average Height:[/b] Does it reach 10 feet above ground level on average? [b]Average Length:[/b] How long is it? Most importantly this is for snakes and pokemon with tails, or things like horse types. Humanoid bodies...not required in most circumstances. [b]Average Weight:[/b] A weight for them. This is fairly obvious but be reasonable. Steel and rock types tend to weight more, which is common sense but I figure should be mentioned. [b]Appearance:[/b] Firstly, an image is REQUIRED. No if's and's or but's about it. I also need a medium-long paragraph minimum. [b]Personality:[/b] How do they tend to behave in the wild? Are they territorial by nature, attacking any that go into their area? Are they friendly and love people? All pokemon are different, but some nice general species information. At least a medium to long paragraph. [b]Natural Enemies:[/b] Any natural enemies? 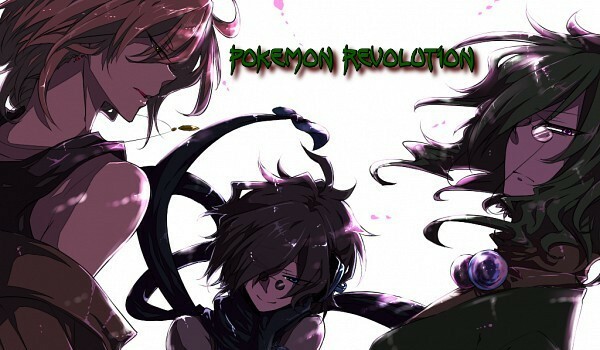 Caterpie are eaten by bird types, seviper and zangoose are natural foes, things like that. But if it's obvious, like the caterpie thing, then no great information is needed here. [b]Habitat:[/b] Do they live in volcano's? Grasslands? Caves? Or perhaps more specifically the fire swamps of Spira, or the Peac sea in Apexia. [b]Dex Entries:[/b] Give us a few useless facts and figures here. Be warned, we take these somewhat seriously, so don't go throwing down things like a levitating 50 ton rock pokemon, just for kicks. [b]Rarity:[/b] How rare are they? A psuedo-legendary that resides only in a cave on west mi-ihen? Perhaps in an under-sea cave under one of the dead islands? Or are they common to see in their habitat? [b]Level-Up Moves:[/b] Give us a move every 2-5 levels. Try to space it out a bit. I don't want a huge list here with a move lever 2 levels. But a tiny list just nerfs the pokemon. [b]TM/Tutor Moves:[/b] A few moves here that can be learned by TMs? (TM and HM's are the same here.) These must be reasonable. No surfing pikachu. Nor a water pulsing flaming snake. [b]Egg Moves:[/b] Additional moves that are learned through breeding or some such. These also need to make some degree of sense.